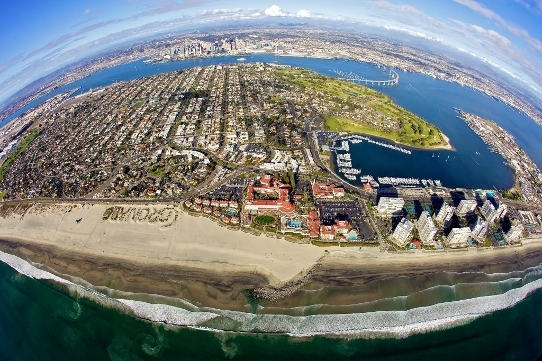 2011 WAS A GOOD YEAR FOR HOME SALES IN THE CORONADO CAYS! Twenty-four single family homes located in the Coronado Cays closed escrow from January 1, 2011 to December 31, 2011. This was the highest number of homes sold in one year since 2005 according to data compiled from ©SANDICOR. According to data gathered from ©SANDICOR, 2011 also broke the record for highest sales price per square foot since 2008. Gerri-Lynn Fives, a Broker Associate with Prudential California Realty in the Coronado Cays has the honor of being the listing agent for 3 Sandpiper Strand, Coronado Cays, which brought $805.73 per square foot, with only 12 days on market. In 2011, the average days on market were 120 days. As one of Coronado’s more tech savvy real estate agent’s, I am excited to report that the City of Coronado has decided to stay relevant in the new age of social media and it is now on Twitter! Twitter is a social-networking and micro blogging service that allows users to send Tweets. A tweet, once identified as a noise a bird made, is now defined as short text messages no longer than 140 characters to “followers.” Coronado is one of the few cities in San Diego that regularly send out “Tweets,” short messages via a Twitter account.